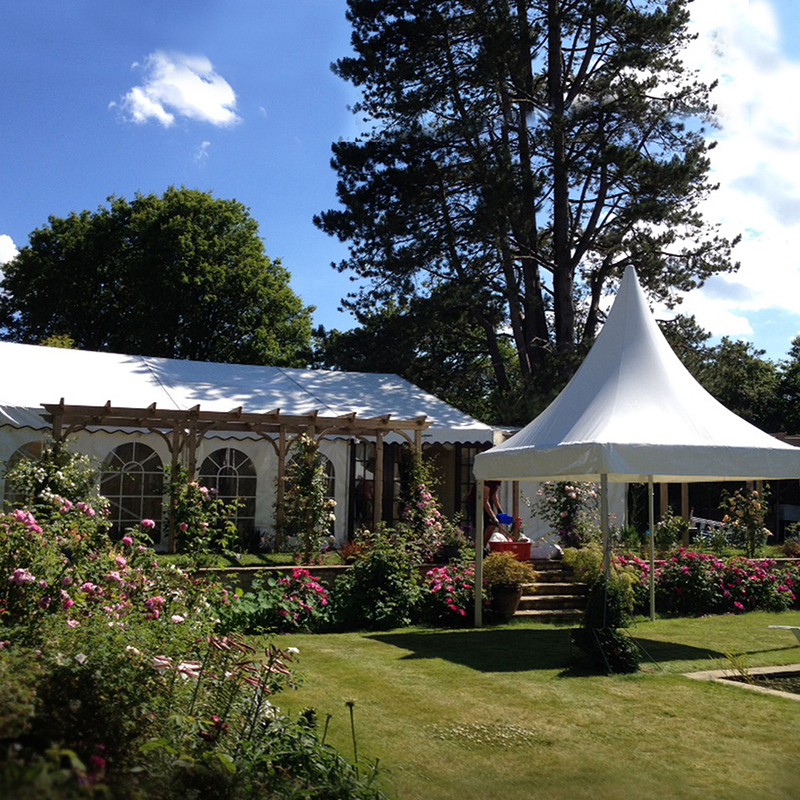 Pagoda Marquee Hire Dorset | Devon | Somerset - Rochesters Event & Marquee Hire. 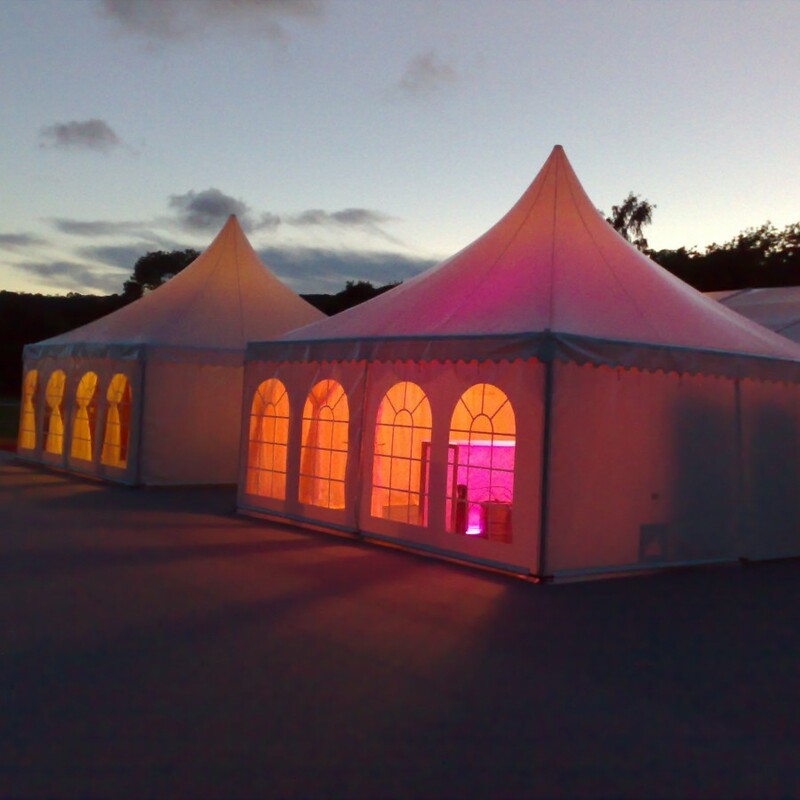 Pagoda Marquee Hire Dorset | Devon | Somerset - Rochesters Event & Marquee Hire. 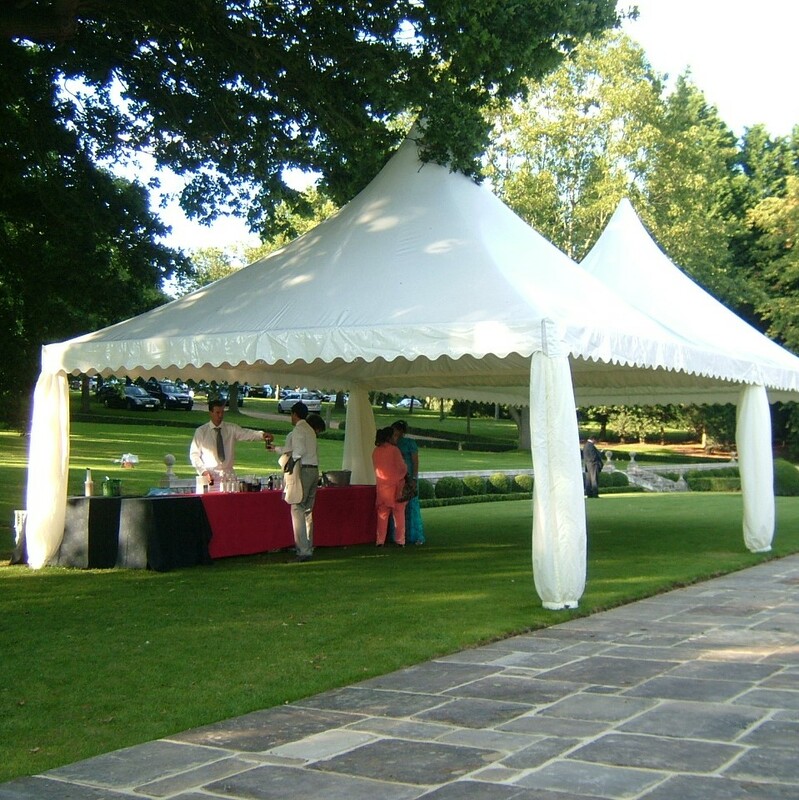 Pagoda Marquees are a versatile and elegant choice which have many different applications. Like a Clearspan marquee they are modular in design and we stock 3m x 3m and 6m x 6m pagodas. With a wide range of possible uses, we have erected them for exhibitors as standalone displays, greeting areas at corporate events and as champagne bars for weddings. They are also ideal if you are looking for some extra space, perhaps for a small family gathering or dinner party. They also look great as an entrance marquee to a larger structure and can be joined securely to a Clear Span marquee to form a unique feature. They can be supplied with both panoramic windows and solid white walls which are easily tied back. They don’t have any guide ropes or external fixings and with a stylish lining will really make your event stand out.